Orthodontic treatment in Thane- It is a way of aligning the teeth in the jaw, to improve the appearance of the teeth and get a good smile. It can also help to look after the long-term health of the teeth, gums and jaw joints, by spreading the biting pressure over all the teeth. Why should I have orthodontic treatment in Thane? At what age should I have orthodontic treatment in Thane? What does orthodontic treatment in Thane involve? How is the orthodontic treatment in Thane carried out? 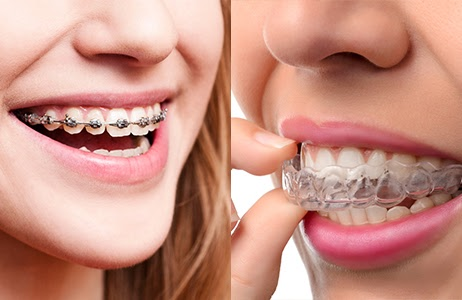 In addition to braces, orthodontists in Thane sometimes use special appliances (called functional appliances) to direct the growth of the jaw in young children. Address: Flat No 215, 2nd Floor, Paradise Tower, Gokhale Road, Thane (West), Ambedkar Chowk, Naupada, Thane West, Thane, Maharashtra 400601. Address: Office No.18, Swami Prasad Building, Above Swami Samarth Medical, Shelar Park Khadakpada, Kalyan West, Kalyan, Maharashtra 421301. Address: Office No-228,2nd Floor, Jagannath’s Commerce Plaza CHS Ltd., Manpada Road, Next to Godrej Showroom, Char Rasta, Dombivli (East), Tilak Nagar, Dombivli East, Thane, Maharashtra 421201. Address: Hira Niketan building, 1st floor, Office no. – 002 Above wellness forever medical store, Opp. syndicate bank, Ambadi naka, Dindayal Nagar, Vasai West, Navghar-Manikpur, Maharashtra 401202.